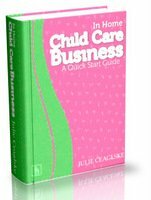 Free tips on potty training, Take the frustration out of potty training. 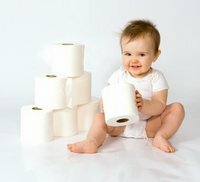 Tips on Potty Training - For Child Care Providers and Parents! Are you ready for some tips on potty training to help you get through those days of too much peeing and pooping in the underwear?! It's a frustrating time for everyone involved but they do eventually "get it"!! Be patient! I have yet to have a child go to preschool or kindergarten in diapers! It takes time and patience!!! If it's not working in, let's say a couple of weeks, take a break from it. I recently had some parents who wanted to train their daughter in late spring- right when the weather got nice and she wanted to be outside playing- huge distraction! Even though she peed every time they put her on the potty, she wasn't ready. Too many puddles on the floor and worse, messes in her pants. We discussed waiting till this fall when the timing was better and she is doing great. When they do have accidents avoid using negatives and becoming upset. Accidents will and do happen. Let them know it's okay. That can be tough but it's important not to make them scared of going. POSITIVE REINFORCEMENT IS MORE EFFECTIVE! We practically throw a party when the little one goes potty! Sometimes we'll even call mommy or daddy to share the good news with them. With parent's approval I will use small treats (like M&Ms) or stickers or stamps. You could try using a potty training chart where you chart daily successes with stickers to earn a special reward! This is the last of my tips on potty training, but it may be the most important!! and on the same page! You can't do it alone... or vise versa... The child will be too confused and have mixed signals. Anything accomplished by one person will be undone by the other NOT doing it. Decide to do it together, using the same verbiage ("pee" or "poopie" or whatever you call it), using the same method and timing. I like using the underwear/plastic pants method. See my Potty Training Problems for more tips on potty training issues and solutions. IF you have particular problems or issues with BOYS or even GIRLS these pages can help----they can be very different. Don't give up!!! They do get it!!! !